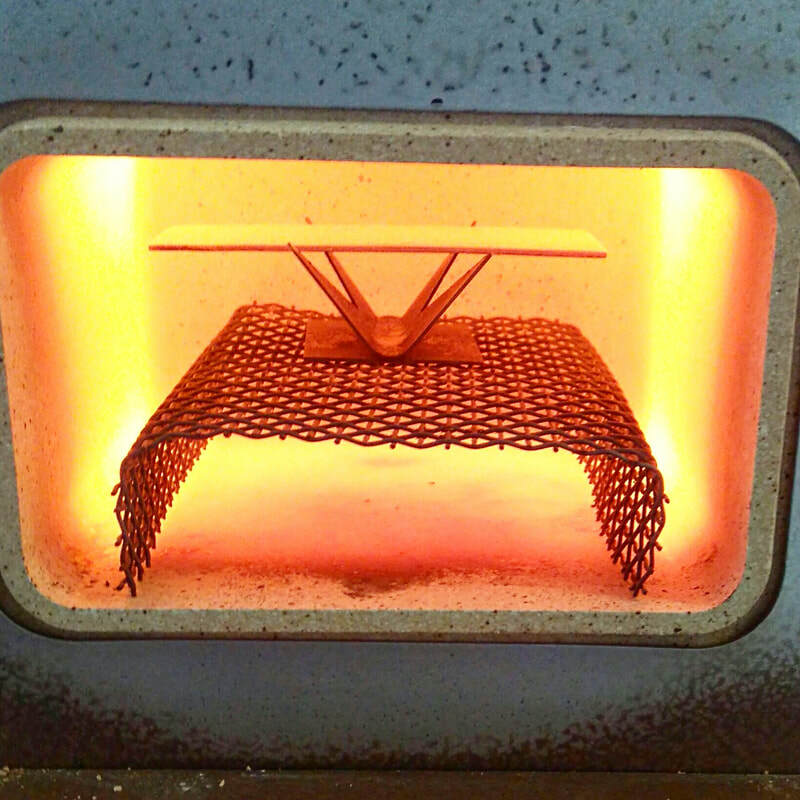 A fun morning learning how to make striking vitreous enamel work with guild member Kathyrn Willis. 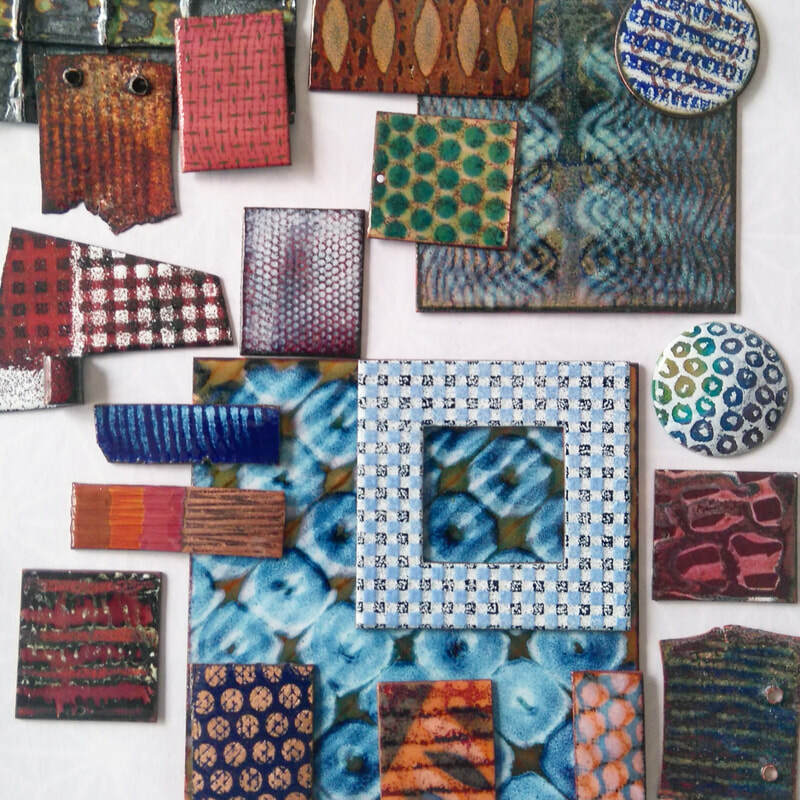 Want to learn how to create your own enamel jewellery? Do you love colour and pattern? 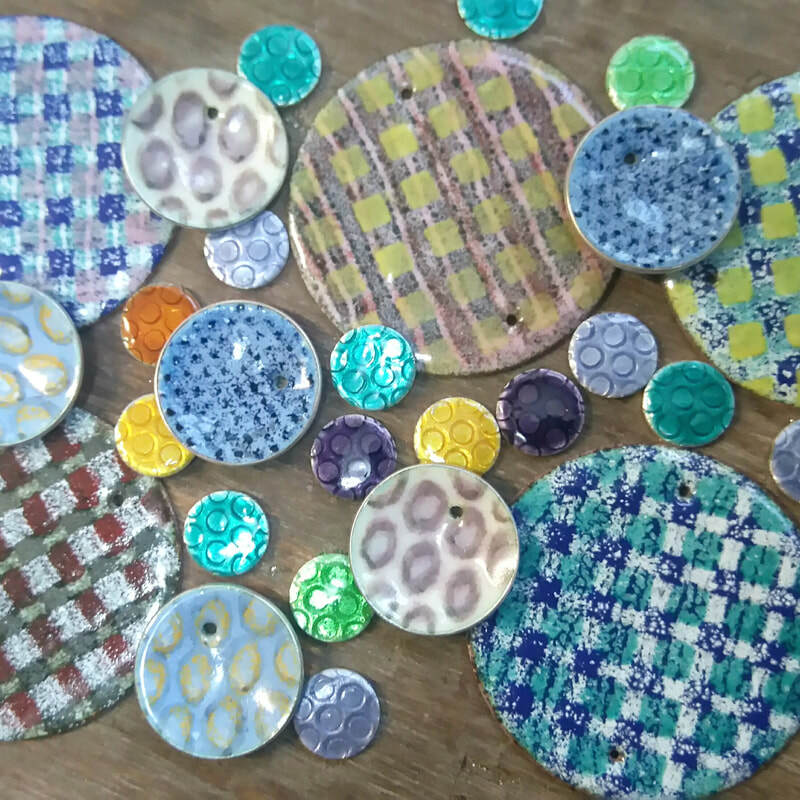 Come and try your hand at enamel jewellery workshop suitable for beginners or students with some prior experience. The use of powdered and liquid enamels with be explored. Work can be taken home the same day. All essential tools and equipment provided. You may like to bring anything you could use as stencils such as paper doilies, paper cutting stamps, lace, net - they may be useful but only if you have them already as Kathryn will provide a range of stencil materials for you to use.